Electric security fencing is, depending on which style the customer decides upon, a very inexpensive way of securing your property or land. 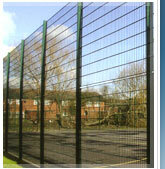 There are several styles of electric security fencing which are used in several different environments. Obviously the cost will vary dependant on the style of electric wire fencing chosen. 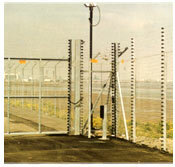 This style of electric fencing is used mainly in agricultural environments. Electric wire fencing is very easy to install and can be attached to almost any fence. This particular style of electric fencing is mainly used to safely contain animals and also keep them safe from predators. Electric wire fencing is also quite unique in the sense that you can use several different power sources to run them. The land you are fencing may be very far away from any kind of mains power source, there for you may have to find another form of power. Electric wire fencing can be quite easily run from a small portable power source and also from solar energy which is the preferred source. This, unlike the electric wire fencing, doesn’t just attach to an existing fence it is a fencing system in its self. This style of fencings usual can not be run from an external power source such as solar energy. It usually has to be run from the mains because of the enormous energy used to sustain it. Again, this style of fencing is usually used in agriculture to safely contain larger animals and also protect them from predators. Electric post and wire is not as easy to install as electric wire fencing and may require a professional to install it. Please Contact Us for further information. 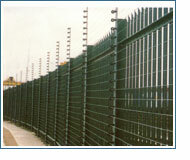 This system of fencing is very often used in prison environments. It can be constructed to almost any size and specification. It can be fitted with cutting and climbing sensors with alarms. It can be highly electrically charged and can be made from high tensile wiring to defend against blunt force contact or cutting equipment. 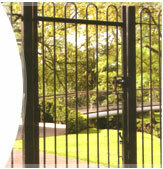 High security fencing can also be designed with gates to match again to almost any specification required, Double leaf gates for vehicle access or single leaf gates for personel access. High security electric fencing can be used for any application required but it is not widely used in the residential or small business sector because of the cost of construction and the cost of maintaining it. However, please Contact Us to arrange a site visit and we will do our best to give an extremely competitive price in a very accurate quotation.